The above graph looks better than things are. If you just factored in normal inflation rates since 1992, the total mutuel handle would be higher than $18.4 billion. Not to mention that in 1992, one had to go to the track (or OTB) to make a bet. It is free. We are on our way to 500 members. The more members we have, the more pull we will have with the industry. "You just dont get it guys! the stagnation in the total handle IS NOT due to take out. 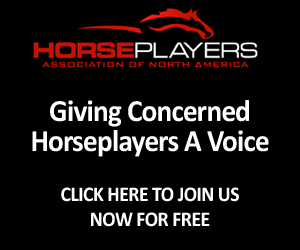 The vast majority of horse players are not concerned with it." That is the problem and that is how the business thinks. It is not about the "horseplayers" who care or not. It is about the $500 billion dollar gambling market filled with people who do care about it that we do not have as customers. They are the ones who are playing other games. Insular thinking, just like we have had for 100 years by the people who run this business. Ask betfair if horseplayers do not "care about takeout". They match billions on UK racing and recently signed their 2 millionth(!) customer. 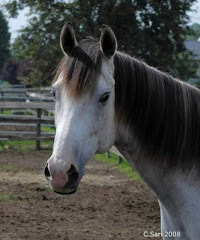 Take off the blinkers and look at the gambling world we live in, not the insulated world of racing. Once people do that, this column makes a whole lot of sense. When this business stops thinking failure is good, is a day that can not come soon enough. Of course takeout matters and will grow the game if lowered. Isaac Newton says so, and he has a better track record on these things than racing. We are somewhat math-challenged. It just amazes me how the world is changing all around us, we stay the same, and expect to grow, like we are some sort of monopoly again and the last two decades and the invention of the internet did not even happen. I am waiting for an episode of Quantum Leap to tell us this all has been a big dream. Scott Bakula for Racing Commissioner! Anon 1, I'll agree that the majority of players are not cognizant about takeout, but when push comes to shove they wind up gravitating to lower takeout games because they may not understand how the money is being distributed, but they know where they last and where they perceive they have a chance to come home a winner. You are way off base if you "think" that lower takeouts mean lower purses. It is you who doesn't understand takeout. I'm thinking you are either a horseman or an exec. Did you read the Cummings Report? I suggest you do. As for marketing. You need winners to attract players. That is what worked in Poker. At today's takeout rates, there aren't many winners who don't get rebates who can be poster boys for the industry. I have no argument with anything you’ve said here, but I think at this point, it’s more important to knock some sense into the horseplayers who can’t see the value in giving HANA a shot at working for them, despite the fact that no expense or personal data is required. Could JP’s logic be any more persuasive? Could you and DT provide any more statistics and examples illustrating the problems that exist and why? Do they need more specifics and details of how uniting their voices can effect change? Do they think players have no chance going up against wealthy and powerful horse owners and breeders? Would they prefer a more confrontational approach toward effecting change? Is it reasonable after five months to question the current path and mission? Do most players actually care about the lack of industry response to customer concerns? What will attract their attention? 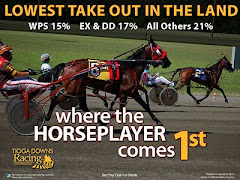 Advertising in the DRF or other industry media? A tour of demonstrations outside active tracks? Addition of prominent, but not-primarily-horseplayer/authors to the HANA advisory board? 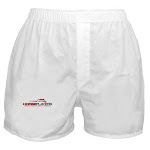 Pop-Up advertising on forums, blogs, and other related websites? Targeted direct mailings? A concerted and coordinated effort by turfwriters to advocate HANA membership (new/additional justification may be required)? Maybe more like Mr. Zast should weigh in on HANA's perceived progress more often. When will there be a better time to recruit dissatisfied horseplayers? Some think the economic crisis altered the dynamic of the Presidential electionl campaign to Obama’s advantage. Is there some aspect of the existing circumstances that can be exploited to raise awareness among prospective members? Is HANA’s primary message one most horseplayers can identify with currently, i.e., can handle be expected to grow in when disposable income is scarce? Given the situation, perhaps HANA should start making the case that purses are currently too high, and opportunities too many. The graded stakes committee just increased the number of graded stakes for 2009 and upgraded existing ones including six Grade I stakes adding a minimum of $600,000 at that level plus the downgraded Suburban. Where is it supposed to come from? Fields will shrink and their quality will be diluted, thereby lowering the handle such events can attract. IMO there needs to be fewer graded, ungraded and non-stakes events scheduled to attract larger fields at each level. There also needs to be additional incentives for competing in larger fields. Purses should be distributed in full to each in the money finisher only when the field is full AND -- in graded stakes -- only if that horse was previously a winner at that grade level or above OR finished ahead of such a starter. Lower stud fees are being announced as well as lower sales prices. Why should purses be any different? 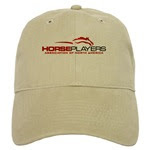 We are told that about 1% of horseplayers are high-volume bettors responsible for 10-15% of handle, and an even more disproportionate share of winnings. Isn't it likely that some low percentage of high vet-bill barns are also disproportionately adept at accumulating purse money? 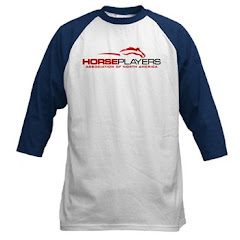 Maybe more people would be attracted to an objective of leveling the playing for horseplayers and horsemen alike in these uncertain times. "It may (lower takeout)attract more proffessionals but that is a detriment to the industry." I sure hope this person Isn't high up In the Horseracing Industry. Can you Imagine if the Poker Industry said Professional Poker Players were a detriment to the industry. Very nice questions and comments. Indulto, in future blog posts those questions will be addressed. You raise some very good points.